Nobody wants to lose their teeth but sometimes it happens either because of poor dental hygiene, accident or just as the result of age. When all or most of teeth have been lost it can often feel like there is little or no hope and can leave patients feeling quite despondent about the state of their teeth and smile. Lost teeth can also have a physical impact on the profile and structure on the face as the teeth act as a rigid support for facial tissue. 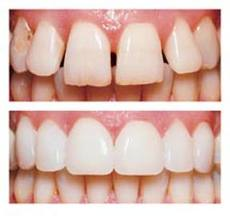 However, there are ways to replace missing teeth and with modern technology they are constantly improving in both functionality and appearance. Dentures have had a bad reputation in the past because they looked unrealistic and were also prone to falling out. 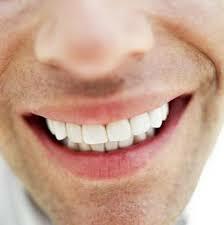 Modern dentures however, are much better fitting and shouldn’t even need denture adhesive to keep them in place. 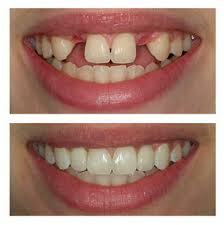 Although many patients are opting to have mini-implants fitted to keep the dentures securely in place. 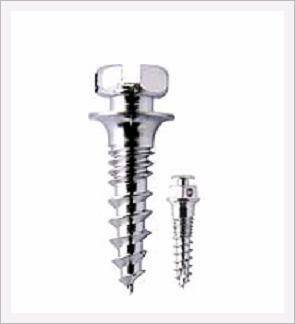 These are small titanium screws that are anchored directly into the jawbone and can be used to clip dentures in place and hold them. Modern dentures also allow much greater freedom to patients as they are capable of eating much more varied food and even things like apples present few problems. 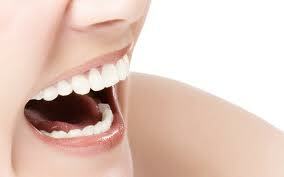 Our dentists will be able to give you a lot more information about the possibilities of modern dentures. A well-made set of dentures should fit snugly around the gum tissue, using suction alone to remain in place. 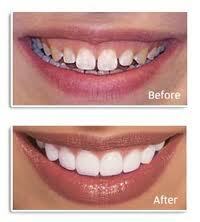 They should cause little or no irritation and be hardly noticeable when in the mouth. If your dentures are causing you problems then you need to make an appointment to have them sorted out.Ask your dentist to provide you with more information about how dental implants work and if you could be a suitable candidate. 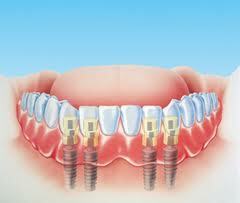 As a substitute for a missing or lost tooth it is hard to beat a dental implant for realism and authenticity. 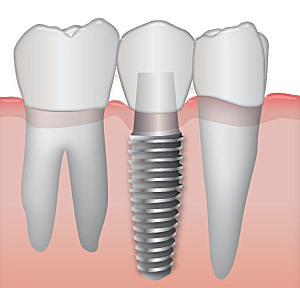 Dental implants are the only dental replacement that restores the whole tooth from crown to root and as a result is the sturdiest restoration available.Unlike other restorations, a dental implant will last a whole lifetime if properly cared for. A good standard of oral hygiene is needed to maintain the implant but the permanency it provides really sets it apart from other dental substitutes.Just like your natural teeth, you need to care for and clean dental implants. Plaque and bacteria that form around an implant can cause inflammation known as peri-implantitis. Daily cleaning of all the surfaces above and below the gumline is very important. The use of power brushes, whether electric oscillating or ultrasonic, can play a sound role in the successful maintenance of dental implants. 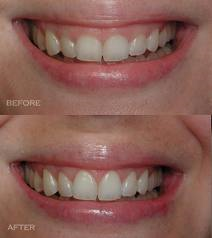 I believe the maintenance for dental implants should be discussed during treatment planning. Successful implant maintenance is time consuming. If patients do not receive enough education about implant maintenance, they cannot fully understand or make appropriate decisions about their care. When we suggest the electric brush as part of home care aids, we should review the difference between natural dentition and dental implants. Natural dentition has a periodontal ligament and 13 Sharpy’s fibers that support the gum tissue and protect the sulcus from bacterial invasion. A dental implant does not have any of these anatomical features. It does not have a periodontal ligament, but a perimucosal seal (a thin band of tissue with one horizontal fiber running around the circumference), and the gum tissue may or may not have the complement of keratinized tissue. These two differences before all others, such as bacteria, restorative design, or the number of implants, will influence which electric/sonic brush I select. 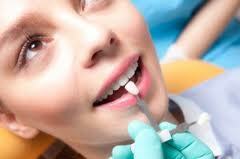 Dental implants must be maintained more diligently than natural teeth due to the factors listed above. Implants and the surrounding tissue are subject to the same bacterial invasion as natural dentition. 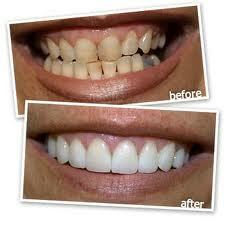 Just as the gingiva surrounding natural dentition can experience gingivitis, so can the tissue around implants. We just use a different term. Gingivitis that affects the soft tissue around an implant is called peri-implant mucositis. This is defined as reversible inflammatory reactions in the soft tissues surrounding a dental implant exposed to the oral environment, with no bone loss. Peri-implantitis surrounding dental implants is the term for inflammatory reactions in the hard and soft tissues, with loss of supporting bone. Powered toothbrushes like Rotadent, Oral-B, Sonicare are safe for use around dental implants.By selecting a powered brush over a manual brush,patients who lack the motivation to do a competent job, or are challenged by physical conditions such as arthritis, will be able to properly maintain their implants.A very small head shaped like a conventional brush can give the best results.While choosing a brush head, you should choose one that will maximize cleaning of the flat surfaces, and that will carry the chosen toothpaste/gel or fluoride into the interproximal spaces.Softer the bristle its better.Remember — never use whitening or abrasive toothpaste when cleaning implant surfaces, no matter how soft the brush. Use a gel or fluoride rinse. Replace all brush heads every three months. We also advice patients to use Waterpik, a fantastic tool to clean under the implant crowns and bridges.The Waterpik® Water Flosser fitted with a Pik Pocket™ Tip is ideal for cleaning below the gum line. This soft tip is placed slightly under the gum-line and the gentle pulsations of water or therapeutic solutions flush out bacteria.Delivering CHX with the Waterpik Pik Pocket™ Tip is More Effective than Rinsing with CHX for Implant Maintenance.